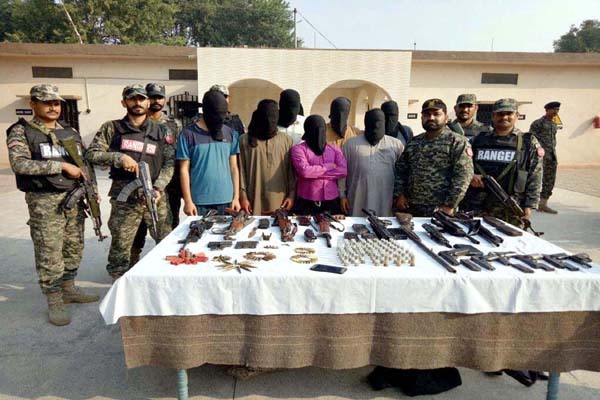 RAWALPINDI, Sep 30 (APP): Pakistan Rangers Punjab in coordination with other law enforcement agencies (LEAs) on Saturday apprehended 27 suspects besides recovering cache of illegal weapons. According to a statement issued here by Inter-Services Public Relations (ISPR), the Rangers along with IEAs in order to ensure maintenance of law and order are carrying out extensive operations in major cities. marches in important areas of major cities, while quick reaction forces have been placed near sensitive areas. The IBOs are being carried out in Rawalpindi, Islamabad, Multan, DG Khan, Lahore, Sialkot, Bahawalnagar, Bahawalpur and Rahim Yar Khan.